RICHMOND, Va. (AP) - With Virginia's top three elected officials engulfed in scandal, fellow Democrats were rendered practically speechless, uncertain of how to thread their way through the racial and sexual allegations and their tangled political implications. Attorney General Mark Herring - in line to become governor if Northam and Lt. Gov. Justin Fairfax resign - issued a statement acknowledging he wore brown makeup and a wig in 1980 to look like a rapper during a party when he was a 19-year-old student at the University of Virginia. Herring - who had previously called on Northam to resign and was planning to run for governor himself in 2021 - apologized for his "callous" behavior and said that the days ahead "will make it clear whether I can or should continue to serve." 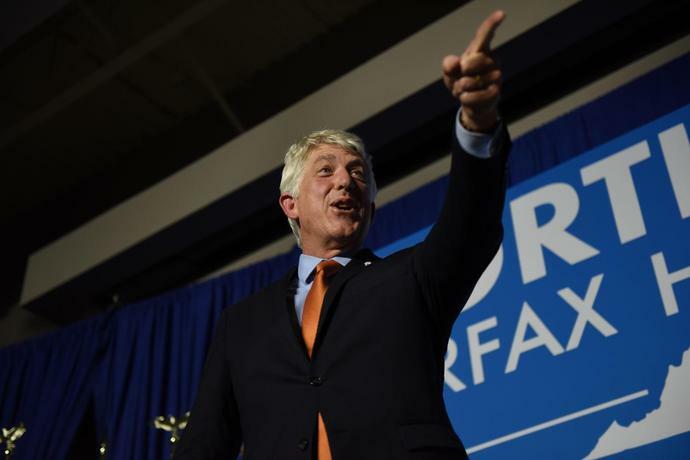 Fairfax - who is in line to become governor if Northam resigns - has repeatedly denied her allegations, saying that the encounter was consensual and that he is the victim of a strategically timed political smear. The National Organization for Women immediately called on Fairfax to resign, saying, "Her story is horrifying, compelling and clear as day - and we believe her."